Effective April 1, 2017, a new California Occupational Safety and Health Standards Board (“Standards Board”) regulation at Title 8, Section 3342 requires certain employers in the health care industry to develop and implement a Workplace Violence Prevention Plan. The passage of these regulations came after nearly two years of meeting and work within the Agency, and more than two years after the California legislature passed Senate Bill 1299, which instructed the Standards Board to implement these workplace violence regulations. Outpatient medical services to the incarcerated in correctional and detention settings. Also beginning April 1, 2017, any health care employer covered by these regulations must keep a “violent incident log” recording details about every incident of workplace violence, including the post-incident response and investigation, based on information solicited from employees who involved in the workplace violence incident. These logs must contain specific types of information as enumerated under the regulations and be retained for a minimum of five years. Similarly, as of April 1, 2017, covered employers must also create and retain records concerning training and workplace violence hazard identification, evaluation and correction. Effective procedures to obtain the active involvement of employees and their representatives in developing, implementing and reviewing the Plan. Methods the employer will use to coordinate implementation of the plan with other employers whose employees work in the same health care facility, service, or operation. Effective procedures for obtaining assistance from the appropriate law enforcement agency during all work shifts, including a policy statement prohibiting the employer from disallowing an employee for seeking assistance and intervention from local law enforcement or retaliating against an employee for taking such action. Effective procedures for the employer to accept and respond to reports of workplace violence, and to prohibit retaliation against an employee who makes such a report. Procedures to communicate with employees regarding workplace violence matters, including how an employee can report a violent incident, threat or other workplace violence concern, and how such matters will be investigated. Procedures to develop and provide training that address workplace violence risks. Procedures to identify and evaluate environmental risk factors, including a review of all workplace violence incidents that occurred at the facility over the prior year. Procedures to correct workplace violence hazards in a timely manner. Specifically, engineering and work practice controls must be used to eliminate or minimize employee exposure to workplace violence hazards to the extent feasible. The written Workplace Violence Prevention Plan may be incorporated into the employer’s Injury and Illness Prevention Program or maintained as a separate document. The employer must conduct a detailed review of the effectiveness of the Plan at least annually, in conjunction with employees and their representatives. The myriad, intricate requirements under these regulations present a significant compliance burden for health care employers. Beginning next month, health care facilities will need to use the required violent incident logs, and hospitals must ensure workplace violence incidents are reported to DOSH under the mandated procedures. Although employers have another year to finalize and implement the written Workplace Violence Prevention Plan, it is advisable to begin this work much earlier given the number of components required under the rule and the need to conduct comprehensive hazard evaluations and assess existing procedures and practices. Health care facilities will also need to implement administrative and engineering controls, which could even involve capital projects to reconfigure their facilities, for example, to ensure employees have a line of sight or other immediate communication to all areas where patients or the public may be present, as required by the rule. The facilities will also need to ensure sufficient staff are trained and available to prevent and immediately respond to workplace violence incidents during each shift. 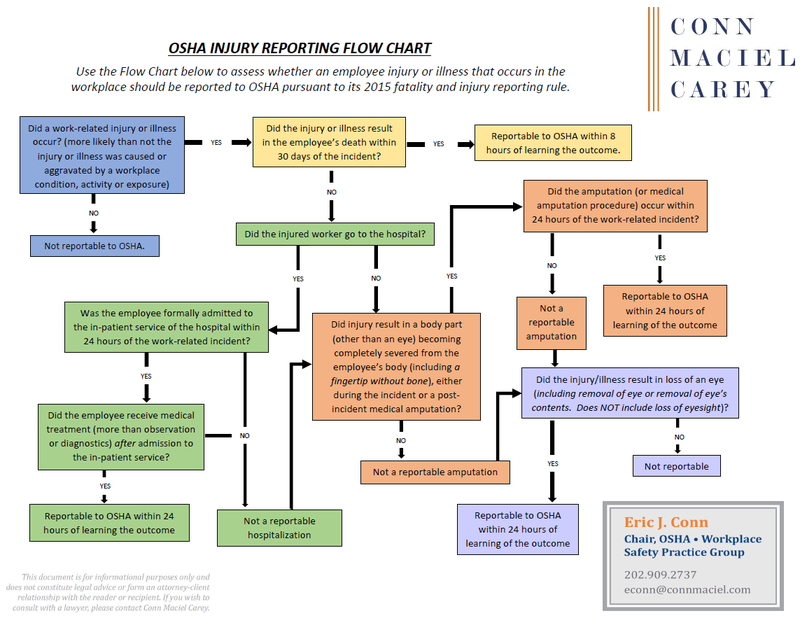 Like Cal/OSHA’s Injury and Illness Prevention Program standards, this regulation provides DOSH ample opportunity to barrage employers with citations for violations related to a failure to establish, implement and/or maintain Plan requirements, or to provide the necessary training, and of course, to second guess judgments made by employers after incidents occur. It is imperative that covered health care facilities work with counsel or qualified safety consultants to develop a strategy for ensuring compliance before employers fall under scrutiny by DOSH.